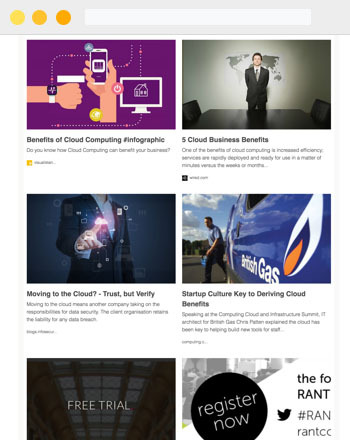 Here are just some of the beautiful newsletter examples created by customers using Publicate. 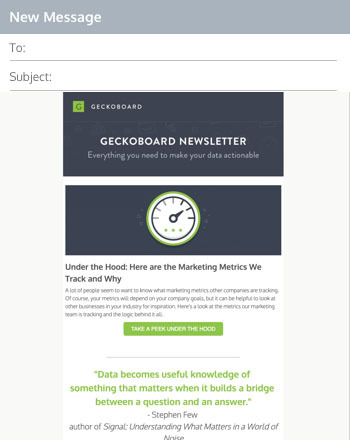 Knowing what you want your newsletter to look like and what to include in it is half the battle. 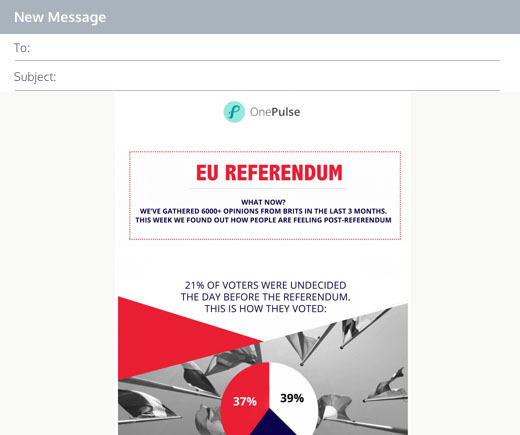 Thats why we've pulled together this newsletter examples to inspire your own newsletter. 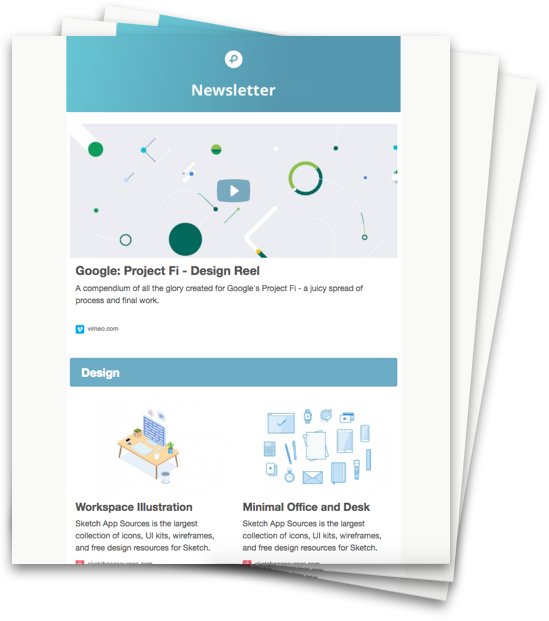 You can easily create your own newsletters like these in minutes, with Publicates beautiful drag and drop editor and rich media library. Find out more about Publicate here. Grow your audience and drive traffic. 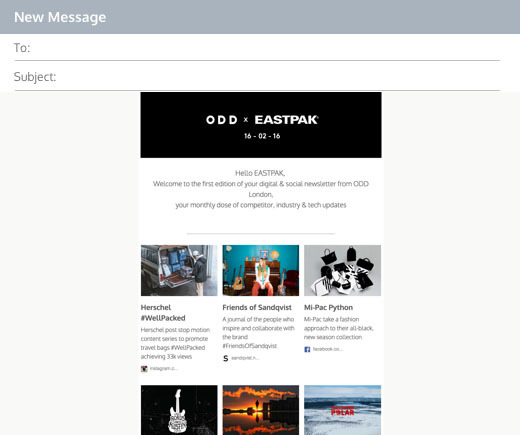 Create beautiful and engaging newsletters in minutes, without design or dev. Summarise important topics and resources. Sometimes just one resource doesn't tell the whole story. Curate it all into a single digest. Show your industry knowledge and experience. 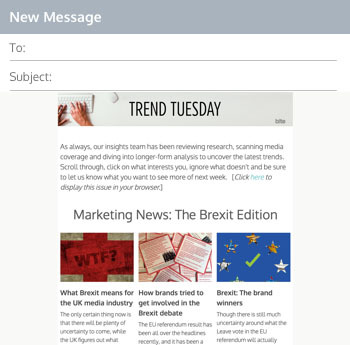 Keep your finger on the pulse by curating the latest news and trends into a digest. 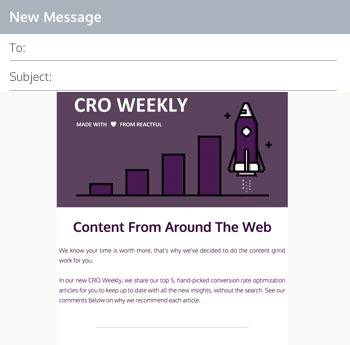 Keep clients up to date and nurture relationships. 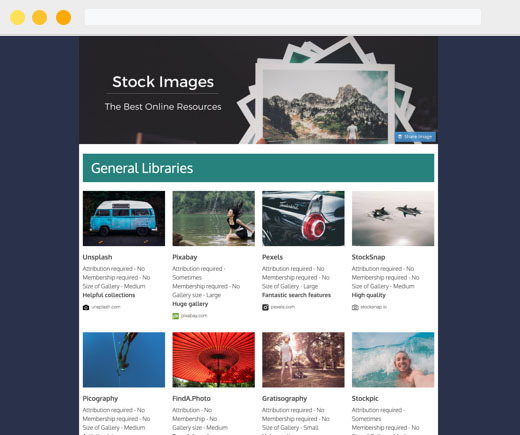 Easily create informative emails with text, images, web links and files. 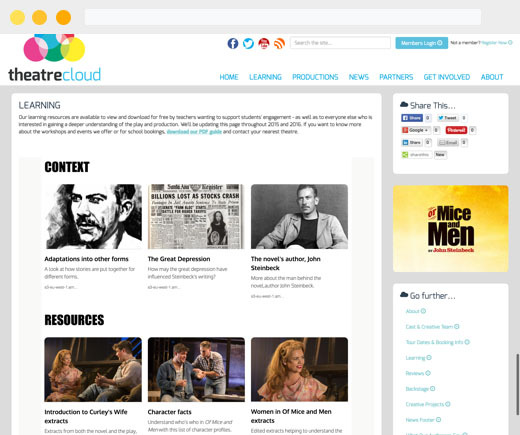 Share knowledge and resources with one link. 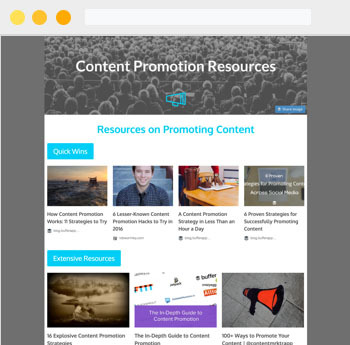 Bring together any number of resources, products and tools into a single engaging page. Keep the team and stakeholders up to date. Pull together and share all the information the team needs to know, and in an engaging format. Add comment and insight to the latest topics. 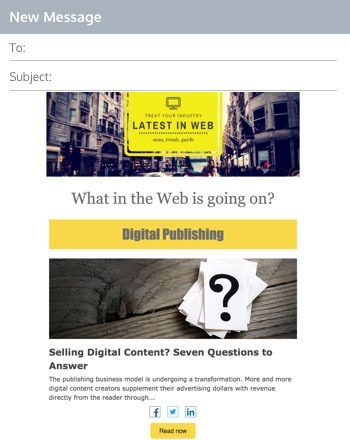 Share your thoughts and opinions on the latest news and information with an engaging newsletter. Everything you need in one place. 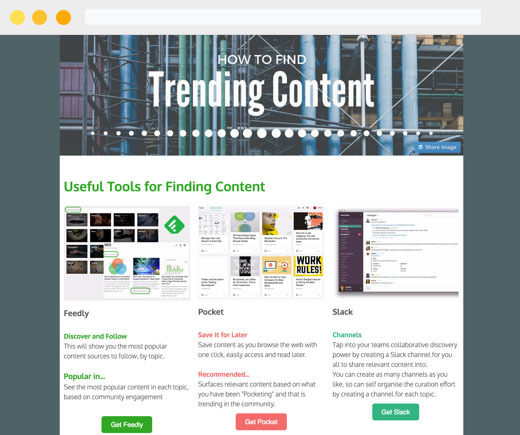 Make it easy for customers to see all of the important information they need on a topic. Provide real value to your customers. 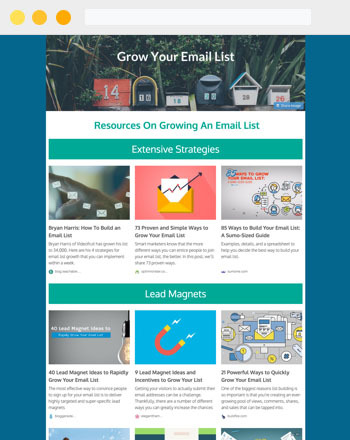 Create useful How to Resources that customers will really appreciate. 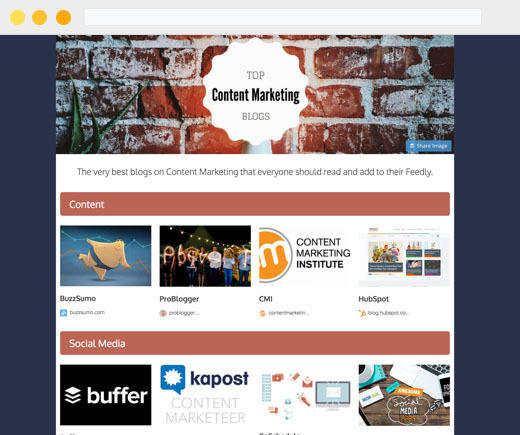 "Whats the latest from your blog or community? 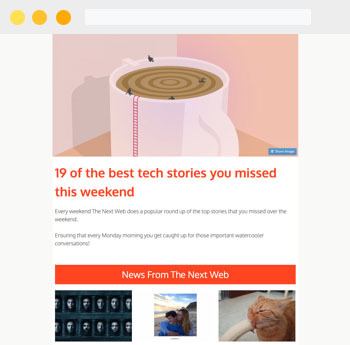 Create a roundup that showcases that latest content from you and your community. Compile indepth knoweldge and resources. 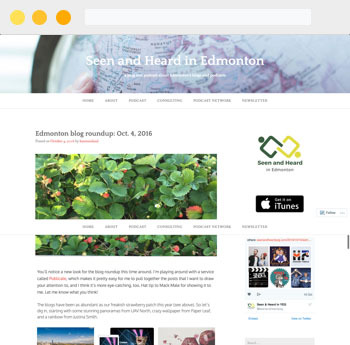 Bring together all of the useful information into one single place and add it to your website. 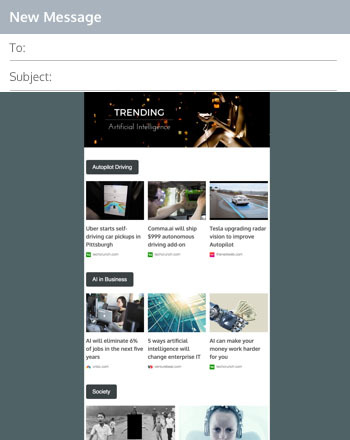 Create your own newsletter in minutes!